Here it is...One of Fulton's Finest! Its the home and location you've been looking for. 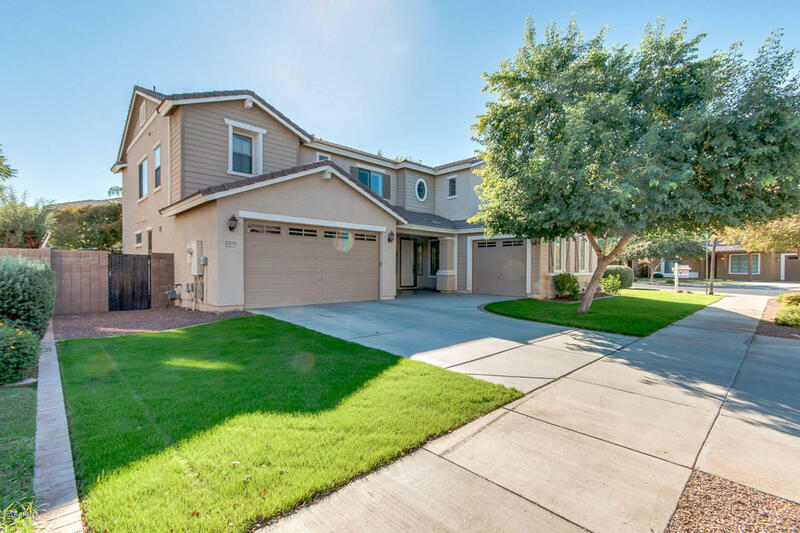 This popular Fulton floorplan features 4 large bedrooms, 3 full baths with a downstairs bonus/guest room and full bath, a huge loft a separate den with french door entry. The kitchen features custom cabinets, quartz countertops, large island, gas cooktop and double ovens! 2X6 construction and wired for surround sound/CAT-5, this home boasts plantation shutters, new flooring, new fixtures, a master bedroom with separate shower/jetted-tub and a huge walk-in closet, a paver covered patio with a fountain and gas stub for outdoor BBQ along with a huge over-seeded backyard. Plus, You'll also enjoy all the benefits of the community swimming pool without the maintenance costs that accompany a private pool.